Allows up to 4 tools or lights or combinations from a single power source. 4 x 16 Amp 110 Volt outlet sockets. 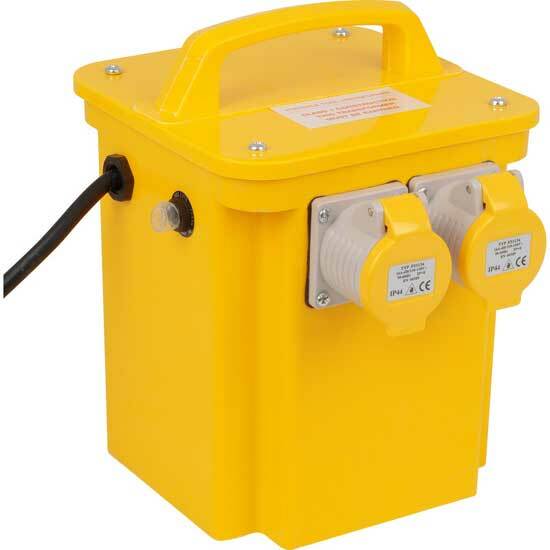 Transformers up to 10kva available with 16amp and/or 32amp outlets depending upon your requirements. Most of our electrical equipment is 110V for safety reasons. 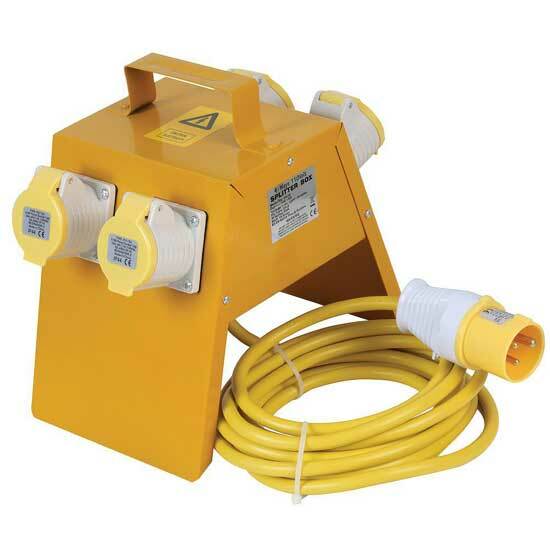 Consequently it needs a transformer, which we can supply - see prices below. If you have your own transformer please ask our hire desk staff whether or not it is suitable to run the tool you are renting.